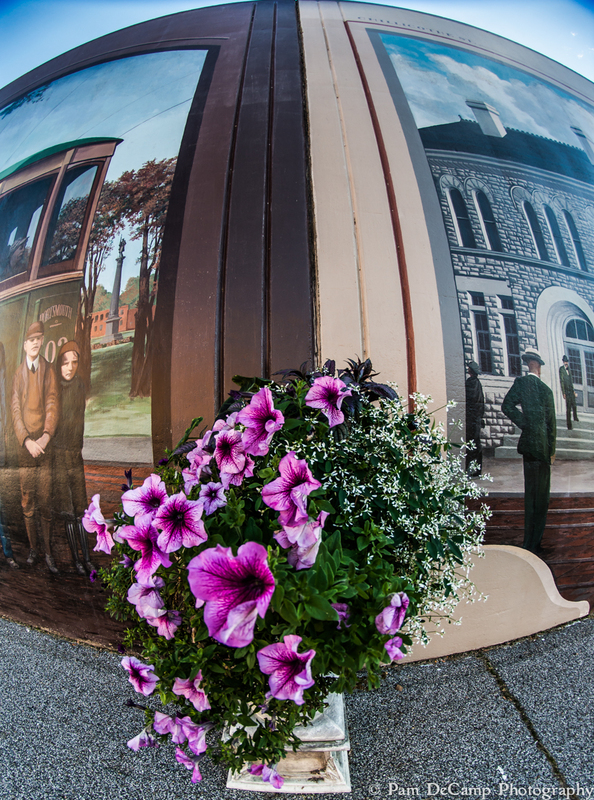 A few evenings ago I took a walk along the Portsmouth Murals. 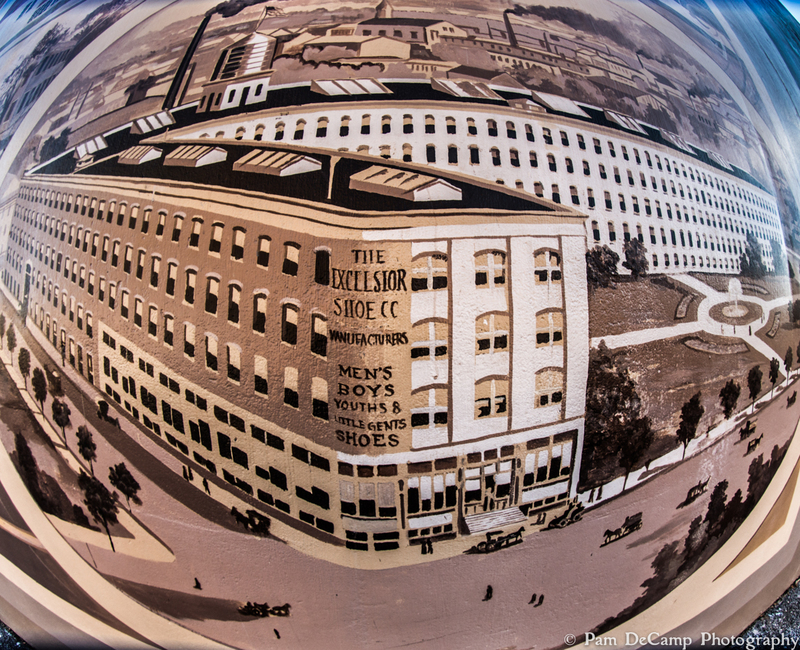 I just purchased a fisheye lens and thought I would experiment with the lens distortion. I like the 3D quality of the lens; it also makes for a cool “snow globe” effect. The shoe factory buildings stood out and appeared to be coming out of the wall! 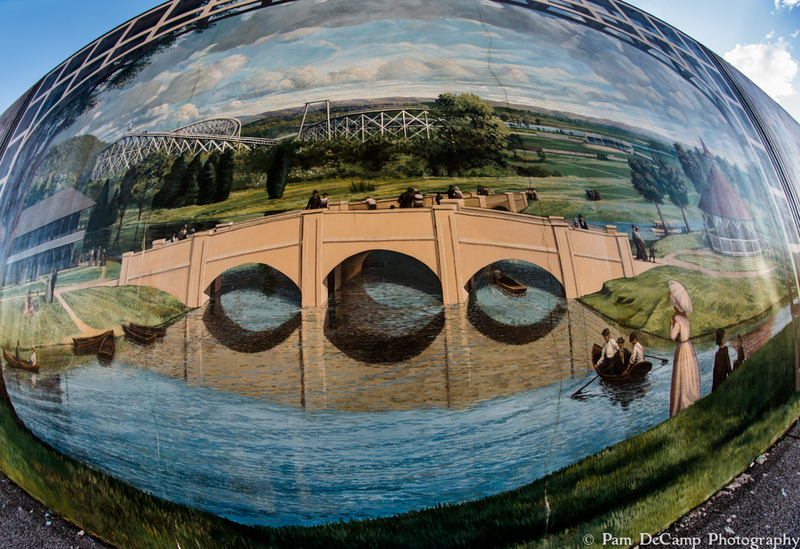 I stood against the mural with the motorcycle and moved the camera around to create just the right curve; the motorcycle looks like it is coming right off the wall! 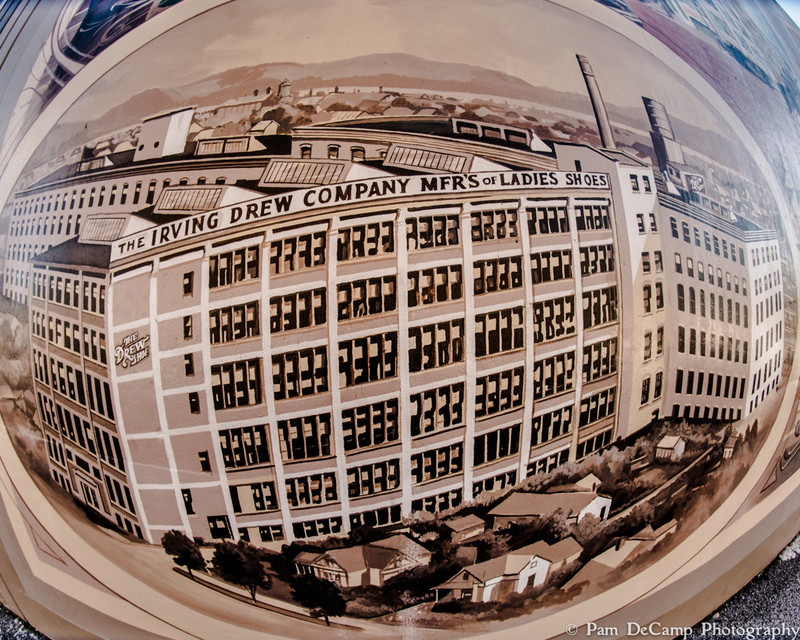 I had always enjoyed looking at images taken with a fisheye lens, but never really thought about purchasing one myself. 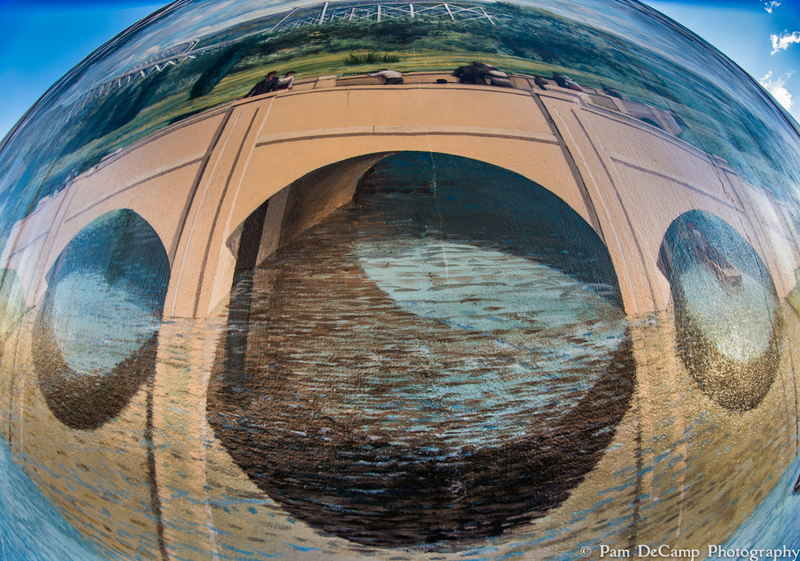 I have played around with other images using the fisheye; it is definitely something to get used to and will work well on some subjects, but not necessarily on others. I like the look of the mural images. 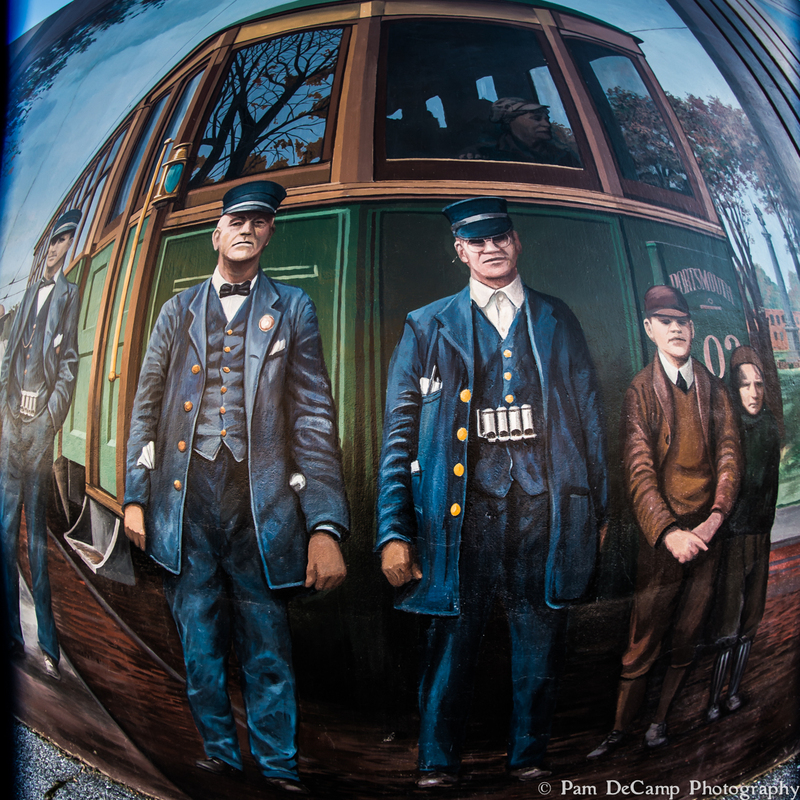 Cropping a fisheye image is best done unconstrained; meaning adjust the crop manually vs a fixed dimension. Thank you for looking and I look forward to sharing more creative images in the near future!